Users can choose from thousands of options to configure their balance to suit their individual needs and obtain the optimal solution for integration into their process. But we didn’t stop at this level of innovation: when customers require a perfect solution to allow them to incorporate the lab balance into their processes in a fully individual way, configurability is simply not enough. We provide an elegant software solution that needs no additional laptop to implement a fully individual profile of specifications – from the integration of data into the infrastructure of the software to the complete control of the weighing process – and beyond. Your benefits: quick, clearlydefined processes and accuracy. But the growth on the "hardware side" of the Cubis® family is unstoppable as well. With the new high capacity models, Cubis® now covers the entire range from the research and QC laboratory to the process developement labs and compounding areas. Here, Cubis® offers you the comprehensive accessories program to fit the solutions for your fully individual applications as well. Cubis®. Buffet, à la Carte or Fully Customized? - Universal lab balances often have only limited options for adaptation to special workflows in laboratories. Usually, a situation results where SOPs have to be modified to work around the balance functionalities available. 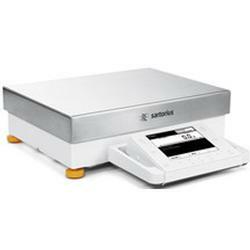 Sartorius Cubis® balances overcome these limitations. 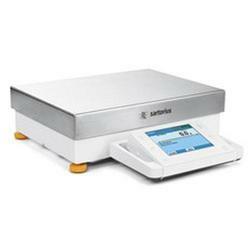 They are the first laboratory balances that not only can be seamlessly integrated into your individual workflows. Thanks to a wide selection of accessories and mechanical components for extended options, these balances can also be adapted to your weighing containers and workplace conditions better than any other balance. Users can choose from thousands of options to configure their balance to suit their individual needs and obtain the optimal solution for integration into their process. But we didn’t stop at this level of innovation: When customers require a perfect solution to allow them to incorporate the lab balance into their processes in a fully individual way, configurability is simply not enough. With , we provide an elegant software solution that needs no additional laptop to implement a fully individual profile of specifications – from the integration of data into the infrastructure of the software to the complete control of the weighing process – and beyond. Your benefits: quick, clearlydefined processes and accuracy. But the growth on the "hardware side" of the Cubis® family is unstoppable as well. With the new high capacity models, Cubis® now covers the entire range from the research and QC laboratory to the process developement labs and compounding areas. Here, Cubis® offers you the comprehensive accessories program to fit the solutions for your fully individual applications as well. 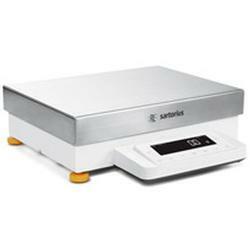 Safe and Easy to Use with Standard Q-Guide In addition to aspects strictly involving metrological specifications, preparing for and performing a weighing procedure and meeting the relevant regulatory standards are gaining ever-increasing importance. With the Q-Guide user interface, work tasks are not only faster but Q-Guide eliminates the need for the user to follow time-consuming working steps. The Q-Guide is designed so that the user only ever sees what is needed for carrying out the task at hand. Once a task has been defined, Q-guide guides the user interactively through the settings and hides information that is not relevant. Individuality is the Key - More Efficiency and Safety with Q-Apps Turn your Cubis® lab balance into Cubis®individual, and integrate customer-specific applications, called Q-Apps, into your balance. These are reloadable application programs that guide the user step-by-step through the specific workflow. It is thus guaranteed that the procedures described in the corresponding SOPs are observed at all times. This makes Q-Apps an attractive alternative to implementing external middleware. Choose between Two Types of Q-Apps As individual Q-Apps are performed according to their specific application, a variety of solutions for differential weighing, formula and filling quantity control applications are available as standard Q-Apps. Moreover, it is also possible to use standardized Q-Apps applications for the determination of the minimum sample weight according to USP as well as for easy pipette calibration. Workflows can be performed independently and do not necessarily require a PC connection. Q-Level - The Automatic, Motorized Leveling Function Exact leveling of a lab balance is the key element in inspection equipment monitoring and is essential for reliable readings. This is where Q-Level can provide valuable support, because users can define which tasks they will perform themselves and which the balance should carry out on its own. This is possible regardless of which of the three display | control units is chosen. Cubis® is the first lab balance that automatically checks, performs and documents its exact leveling. The Cubis® balance can be leveled with the push of a button or fully automatically when the isoCALfunction has been activated. Quick and safe leveling with a significantly reduced risk of contamination for users when they work with toxic substances in safety weighing cabinets. This eases the burden on the user and allows more time for the user’s actual tasks, in addition to being safer.